Suzuki has launched a new special edition Alto Play. Based on the mid-level SZ3 trim it comes with air conditioning, side airbags and adds front fog lights and interior upgrades. The new model goes on sale this week and just 500 will be available. It comes exclusively in Oyster Blue metallic paint finish and gets unique blue seat fabric, silver trim on the front bumper and body coloured door handles and mirrors. 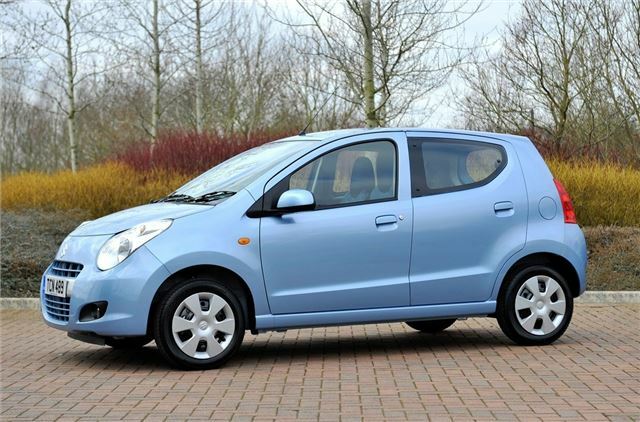 With Suzuki’s VAT free offers recently extended to 30 March, the Alto Play is available for £7,595 including metallic paint. A flexible and very low deposit Personal Contract Purchase (PCP) is also available for customers wishing to purchase via Suzuki Financial Services. The Alto is one of the most efficient small cars on the road with CO2 emissions of 103g/km and claimed economy of 64.2mpg.